These are red wines with a very similar aging to the one of our Reservas of the Classic family, but with a small and very important difference: at the time of preparing the bottling of each vintage of our Reserva Classic, we find some years 2 or 3 barrels whose wine stands out and catches our attention due to its characteristics and the evolution presented inside during aging. For this reason we proceed to select them and separate them, giving that wine a short additional period of 3 to 4 months of aging in barrels with a special follow-up: in specific barrels we know how behave and what they contribute (this is only possible after the particular barrel aging process that we carry out in Bodega Akutain, where we handle a small / limited number of barrels, and where they are constantly and individually monitored leading us to “know each barrel by its name and surname”). After that, these wines receive a bottle aging of at least 12 months in our cellars for stabilization in the bottle and for a first evolution in the best conditions until the time of being marketed has arrived. 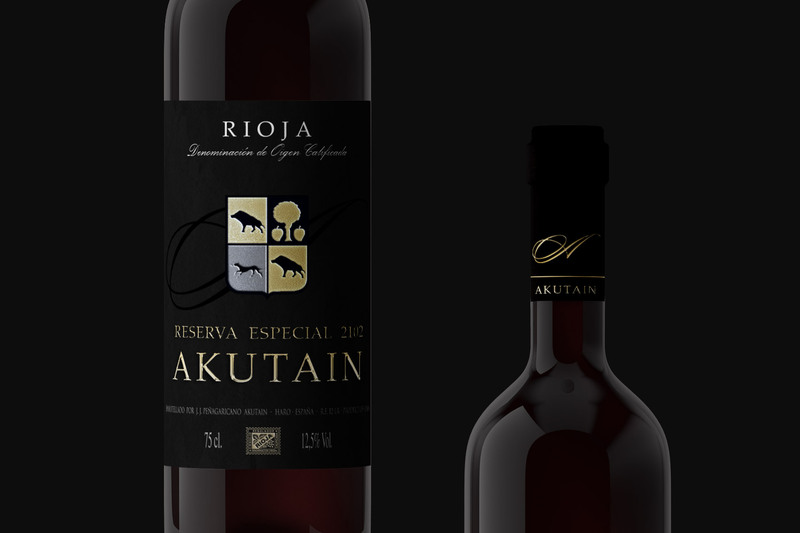 The result is a red wine Reserva with a special character that we care a lot of, some more complex and intense, but always true to our criteria for a Reserva: optimal to be tasted at the time of marketing but with a great potential for storage (15 -20 years or more in optimal conditions). These wines are presented in limited and numbered editions. Wine aged in oak barrels for 20 to 30 months. As in all our wines, we recommend opening each bottle at least 30 minutes before consumption and / or the use of a decanter improving oxygenation and allowing the wine to offer its full potential. These are rosé wines that we can’t make every year since they are obtained, only when the harvested quality and quantity allow it, from a very small extraction of the grape must/juice coming from our vineyard of higher altitude Gembres (the one we use for the production of our Reservas and Gran Reservas), located more than 600m above sea level. 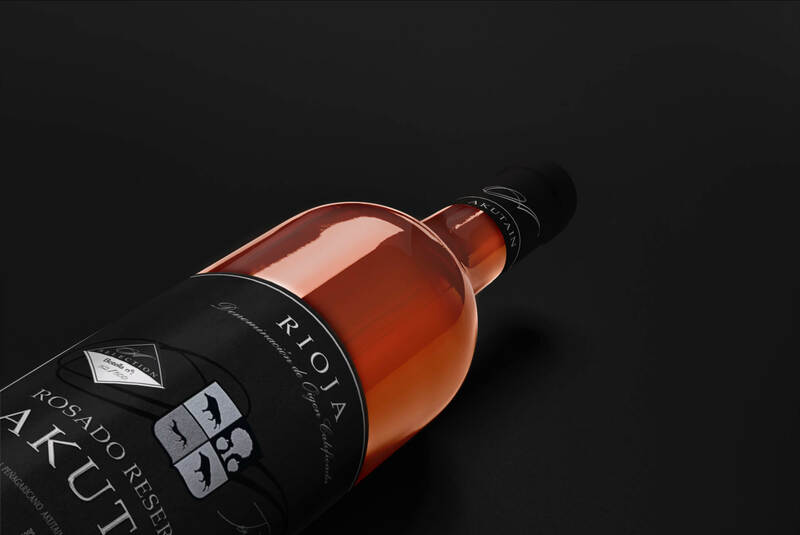 They are wines with a very special fruit feeling and acidity (almost reminiscent of the taste of candy), being therefore suitable for a classic aging in oak barrels despite the difficulty for being rosés. As Reservas, they also have a medium / long aging in oak barrels (at least 17 months). For this we take at first our older barrels who already had several vintages previously, respecting thus the characteristics and properties of such a delicate wine (mainly its primary aromas such as floral and fruit, but and also secondary aromas) so that the barrels “do not eat the wine”. Once these characteristics and these aromas have stabilized, we proceed to transfer this wine to newer barrels providing the complexity and the desired tertiary aromas (roasted coffee, vanilla …). After aging in the barrel and bottling, we proceed to stacking the bottles in a traditional way in our excavated cellars, where they will age in the bottle for at least 10 months for a correct stabilization and evolution until we can put them in the market. These are wines to be enjoyed at a somewhat higher temperature than the typical young rosés, in order to appreciate the character that brings the aging. They are also complex rosés, with a surprising nuance number and evolving a lot as they are oxygenated. These wines have a great guarding potential (15-20 years or more in optimal conditions) and they are presented in limited and numbered editions. Wine aged in oak barrels for 17 to 25 months. Also for this rosé we recommend opening each bottle at least 30 minutes before consumption and / or using a decanter, which will improvete oxygenation and will help the wine to be enjoyed to its full potential.